A tennis dedicated capsule to complete a sport silhouette. 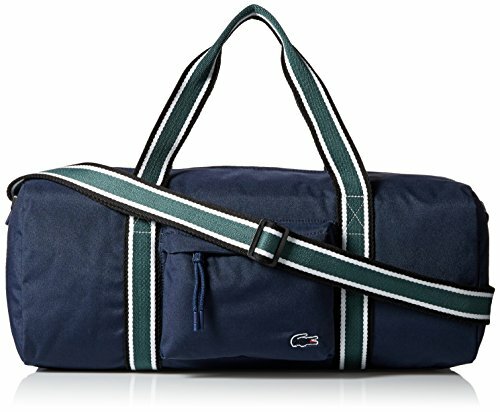 An ultra lightweight duffle bag in polyester to accommodate and carry the essentials of a tennis game, with stripes on the handle referring to the brand codes. Flat handles are inspired from the first Lacoste sport bag launched in 1987, which provides heritage details to this modern line.